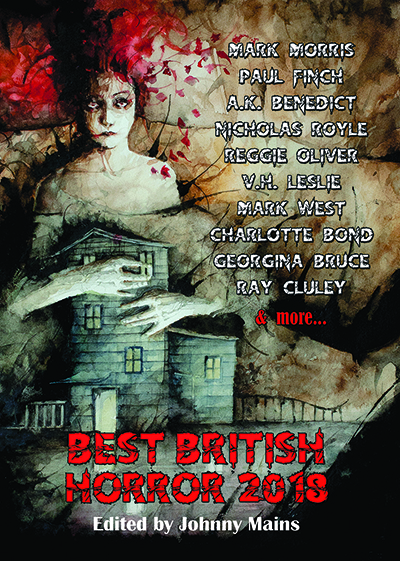 Editor Johnny Mains has scoured anthologies, magazines, and online publications to select the very best horror stories written by British authors, from the insidiously creepy to the outright shocking. Johnny Mains is a British Fantasy Award-winning editor, author and biographer. He has co-edited two volumes of the critically acclaimed Dead Funny series with Robin Ince, written the introduction for Stephen King’s 30th Anniversary edition of Thinner. In addition to being signed by editor Johnny Mains, the limited edition hardback features illustrated endpapers by Russell John Morgan, inspired by classic horror movies. Available as limited edition hardback, paperback, and kindle editions.